Growing up Christmas was such a special time of year and now that I have children it is even more so. I wish I could relive and savor every moment of walking out and seeing all the presents laid out under the sparkling lights. Or the looks on my kid’s faces now, the joy they have when they rip open wrapping paper and see the one thing they wanted waiting for them. Christmas is first and foremost about the birth of our Savior, Jesus Christ, and the season never fails to leave me mesmerized at the perfection of the Christmas story. 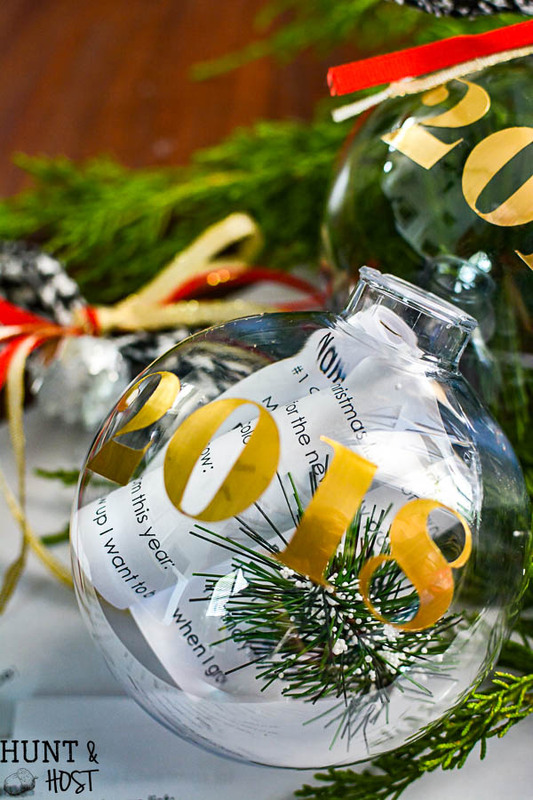 This time capsule Christmas ornament is a way to wrap all those feelings and memories up and save them to relive later! 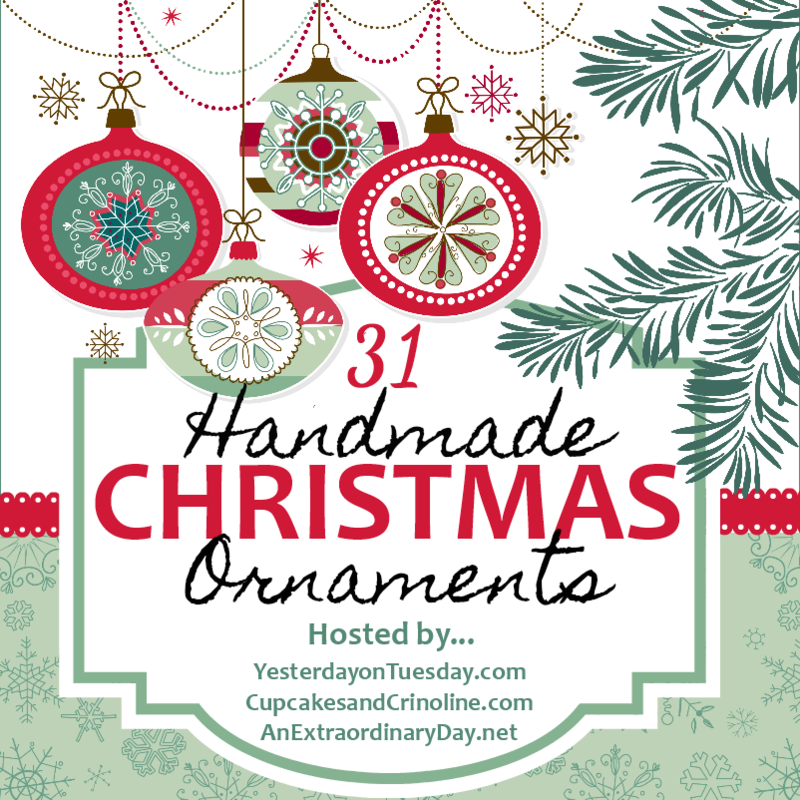 I’ve joined up with a wonderful group of women to bring you one new handmade Christmas ornament a day for the entire month of October! If you are here from Celebrating Everyday Life WELCOME! This project is day 6 of 31! You will see all the links at the bottom of this tutorial. 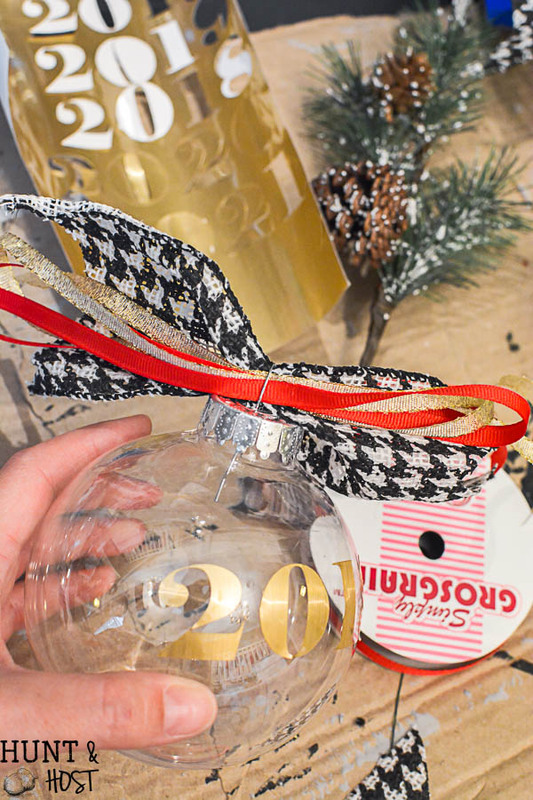 My handmade Christmas ornament idea is so easy and I’m making it even easier by adding a free printable for you! 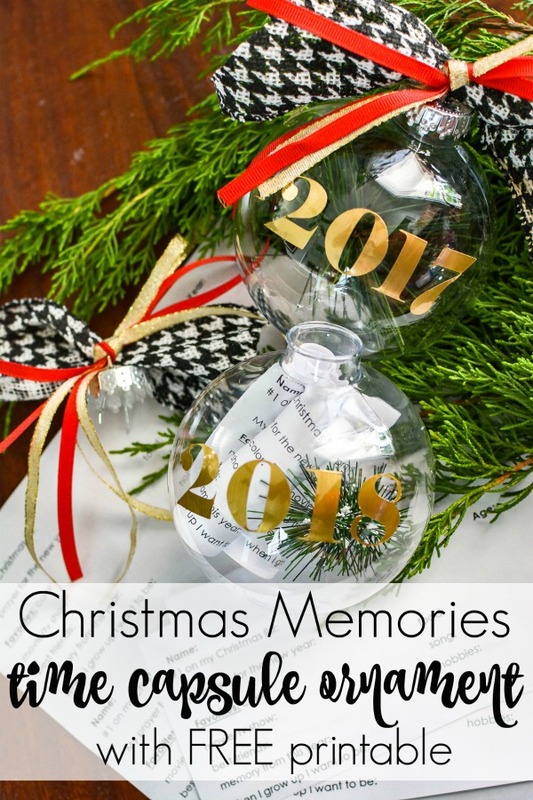 I came up with a list of memories I thought would be fun to look back on years later and put them all on one small slip of paper, the perfect size to slip inside your handmade holiday ornament! I started out with these clear plastic Christmas ornaments I got for $1 at Wal-Mart. My suggestion is to go ahead and get 5-10 and knock out the prep work for the next few years! I cut the year out of brushed gold vinyl with my Cricut and while I was at it went ahead and cut out years ahead so we could start this little family tradition at Christmas time! 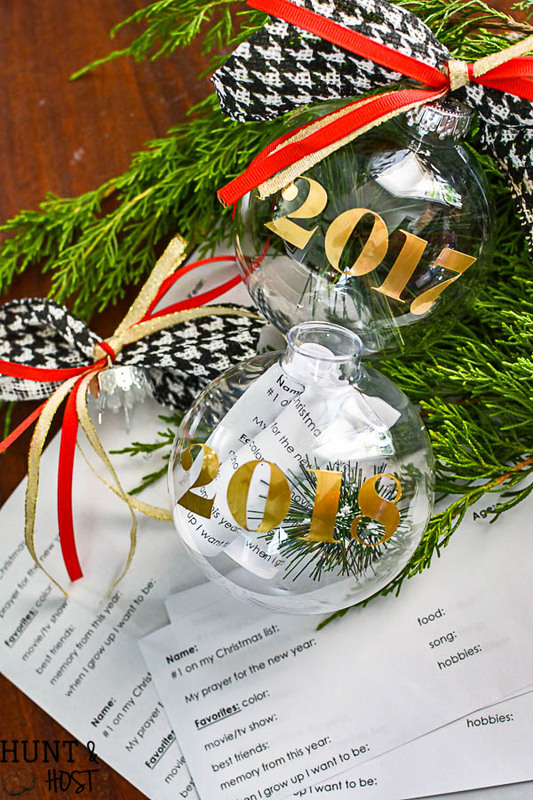 If you don’t have a Cricut, you could use scrapbook stickers or paint the year on each ornament just as easily. Next I gathered some of my favorite ribbons, ones that I thought would blend well with my Christmas décor over the years. 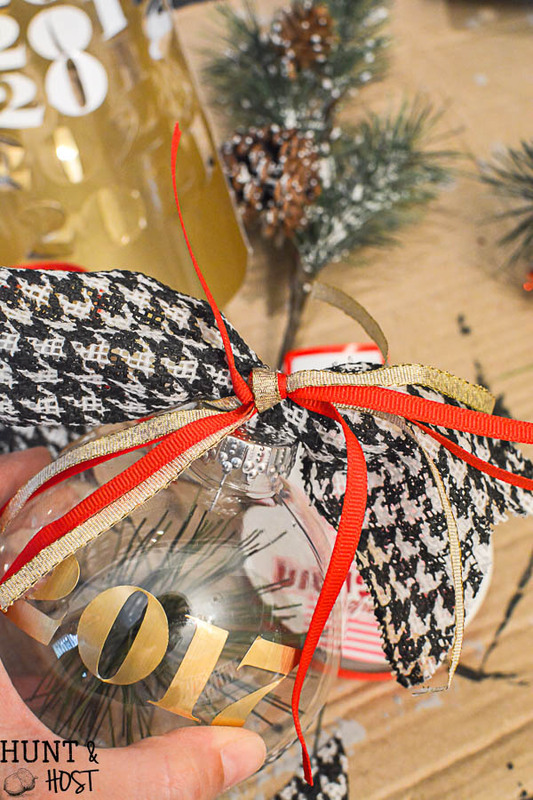 I made little ribbon toppers for each ornament by sliding fat wired houndstooth ribbon into the ornament topper. Next I laid out three lengths of small ribbon in red and gold, looped that through the ornament top and tied a basic knot, cut the ends and spread out the ribbons. I am not a huge bow person, so this is super simple and not as fru fru as it could be…it’s all up tp your personal style! Go ahead and print multiple copies of this sheet (or make your own) for your family to fill out, printing extras for the years to come. 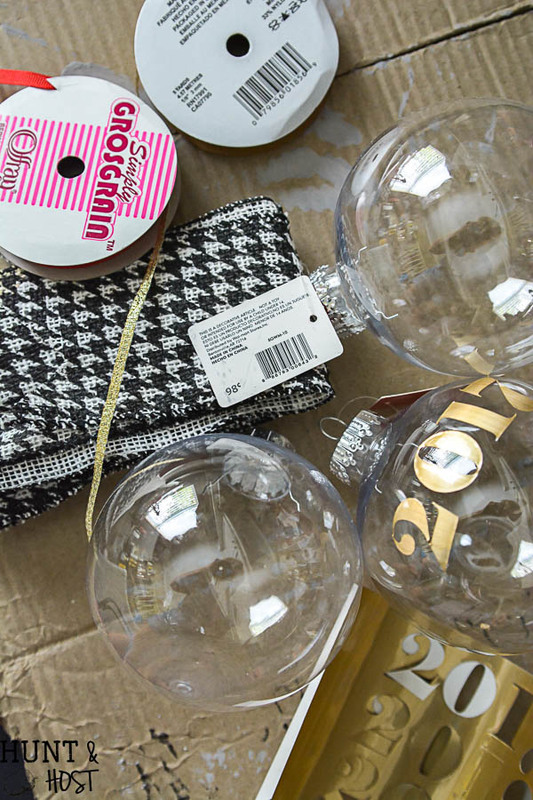 Store the printed sheets and pre-dated ornaments with your Christmas décor and it will be ready and waiting each year! 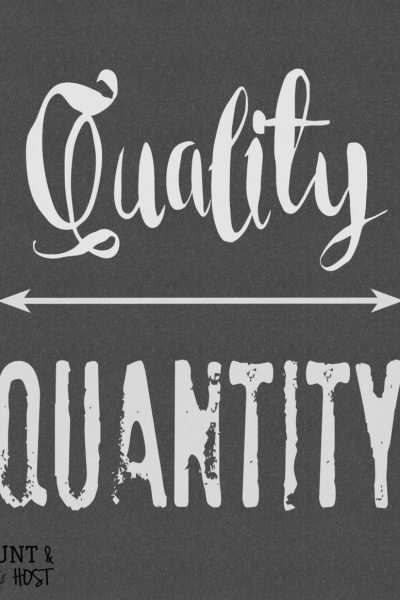 This printable needs to have the extra length cut off the bottom and then cut into three equal pieces for the Q&A. Once everyone fills out the sheet roll them up and slip them inside the top of the ornament. I love to see everyone’s personal handwriting and thoughts, it’s like a mini scrapbook on your tree! I also picked up a few Christmas greenery picks and using a wire cutter I snipped short bits of faux greenery to slip in the ornament for a little pop of color and texture. I LOVE LOVE LOVE this!!! I’m all about the memories! Thank you! I think it should be fun to look back on! Hi Kim, What a wonderful idea. My girls are young adults now but if they were small and we started this, I know they’d get a huge kick out of looking back on the years. Great idea! I LOVE this. I can picture a whole tree filled with these. My family will enjoy this idea. Thanks for getting my creative juices flowing. yayyy, it will be so fun to do every year! 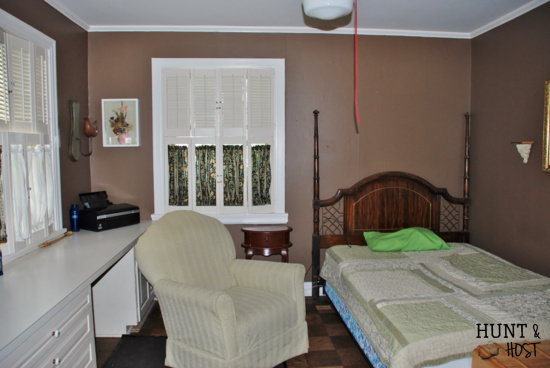 AND easy…best part! These are just so precious. I love Christmas traditions that the whole family can take part in. I agree, and they are inexpensive too so that makes it nice! What a wonderful way to preserve precious emories! One of these days your grandchildren will love reading the paper inside of each one. I agree, it will be so special down the road! Thank you so much for inviting me! I wanted to do these last year and never got to them, your hop got me hoppin’ lol! Kim, you can imagine how many times I’ve seen these clear bulbs in the crafts store. I love this idea and I’m already thinking of things to fill them with. What a touching idea to fill the bulb with special messages that can be read years from now. 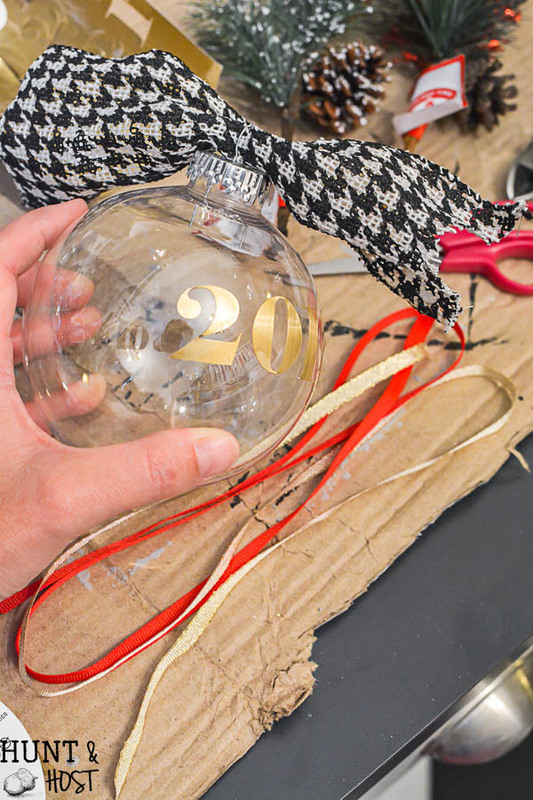 Thank you LIsa, so glad you enjoyed the idea – these ornaments have so much potential! What a wonderful idea, Kim! So meaningful and special. I love this idea!! Such a thoughtful gift! Thank you for sharing! They would be a great gift for a new family! This is such a creative idea, I love it!! Kim, I just LOVE the sentiment of these ornaments! What a great idea!!! It will be so fun to look back on these year after year! Thank you for sharing them!! Thanks so much, I can’t wait to open them later! Thank you Amy, I think any family would like it! I love these! 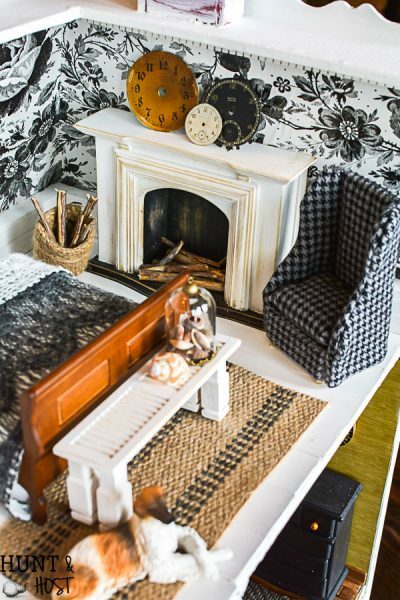 So creative and such a great keepsake! 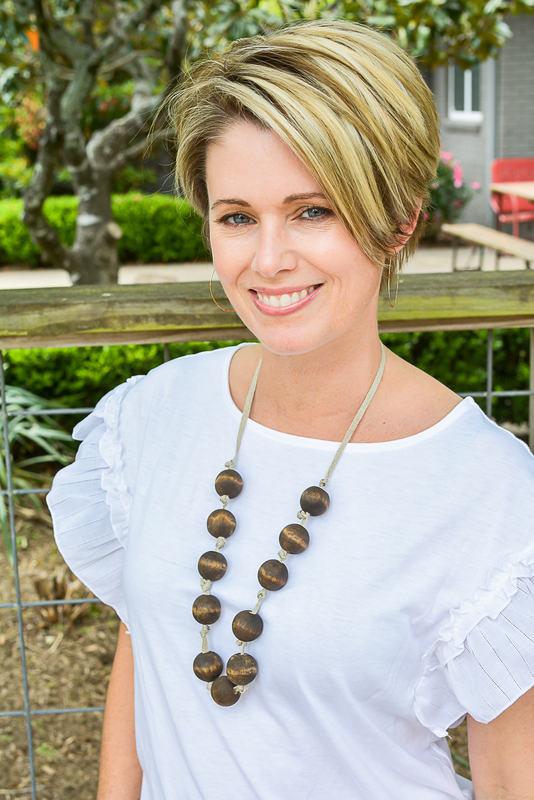 Thanks, hope you enjoy the printable list to get you started! Memories and traditions… it doesn’t get much sweeter than that. Such a lovely project Kim. I agree, memories are what make it right? It doesn’t get better than this, easy and awesome! Love this idea! What a wonderful idea! Wouldn’t it be fun to open these up in future years and have a little glimpse into times past? 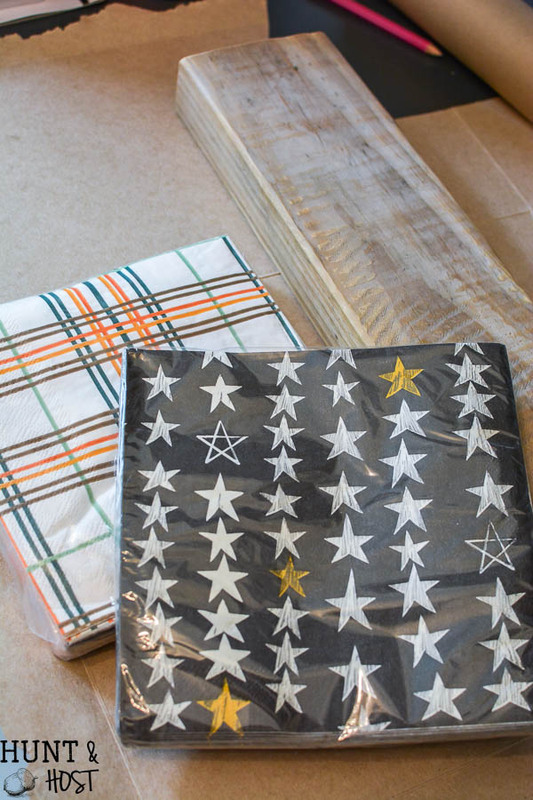 This would also make a great gift–or even a party favor if you’re hosting a holiday gathering. Brilliant! I love that this ornament is not only pretty, but it’s a keepsake. Pinned! thanks Angie, I love to multi task when I can, lol! LOVE! LOVE! LOVE! I want to do this with the kids this year! yay, thanks Lindsay, I hope y’all have a blast!!! Oh, Kim…this idea is truly the sweetest. Love such a sentimental keepsake. I’d be popping them open every year to go down memory lane. won’t they be so fun to re-live each year!? What a cute idea! I love that you can do this so easily for kids growing up. Nice memory to look back on. Thanks, I love that you can make them ahead in a batch!!! 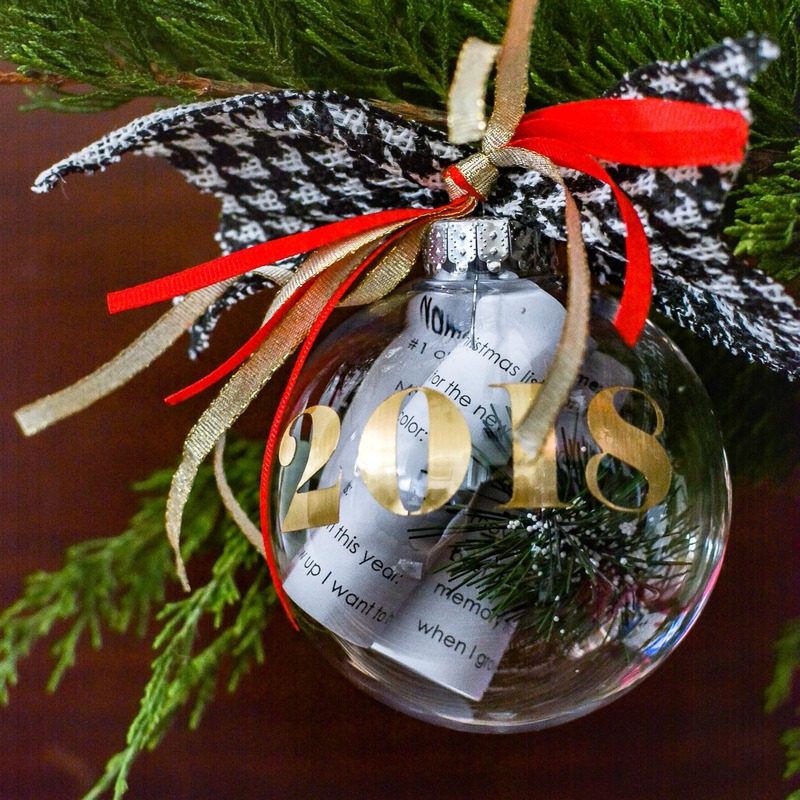 What a fun ornament — and a great keepsake! thanks Kelly, I love that each year builds on the last! 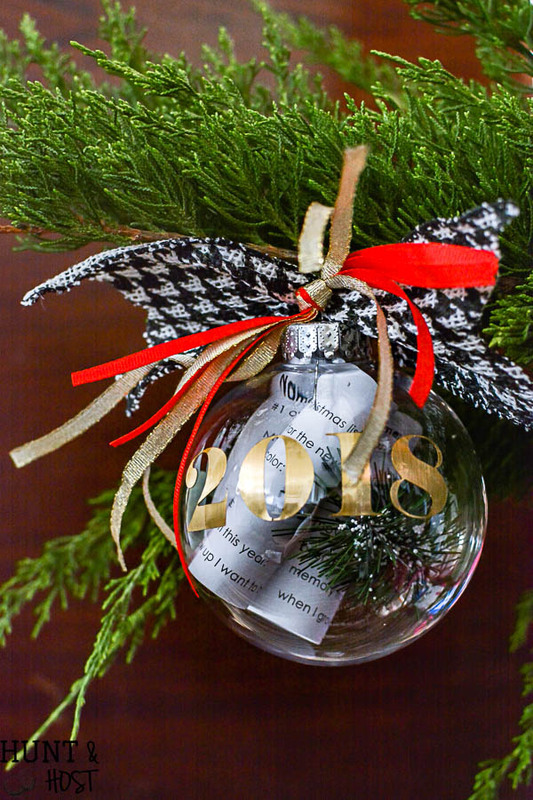 I am kind of obsessed with memory-keeping so this ornament is perfect for me! Thanks for sharing! such an easy way to grab a snapshot!